The advertising field is such an unstable one, a field that witnesses many changes and advancements everyday. If you did not keep pace with that trait, you are totally getting out of the advertising game. What will help you maintain focus on Creativity is having a smooth, effective, simplified workflow. CRM will definitely give you that. Sandra Rea, the founder of Master Marketing & PR and has been a marketing consultant for 20 years, believes that the biggest mistake advertising agencies do is: “Not Keeping Up with Technology” Rea has witnessed the fail of many companies because they did not adopt new technologies to do the job. She believes that using CRM and Project Management softwares will definitely help your advertising agency grow and make your operations more efficient. You are in a market where new technologies pop up every minute; and you need to catch up with these technologies to survive in such a rushed crowd. Being in the advertising field, you definitely know the amazing impact of technology over businesses. By adopting a CRM software, you are ensuring your agency advancement and growth and showing your clients that you are bold enough with technology. Now, we will discuss what industry experts have to say about the main challenges and problems advertising agencies face and how to solve them. A common mistake that companies do is starting small, thinking that they do not need certain resources till they grow. This is considered wrong because whenever a growth opportunity pops up, they find themselves unprepared with the necessary resources to seize this opportunity. So, you must be prepared for any opportunity that would knock your door because the advertising field is such a rapid one where relatively slow racers never reach the finish line. Did you ever lose an opportunity because you did not have the needed administrative arm or because you cannot follow up on a higher number of projects/clients? CRM provides you with the needed administrative arm that makes your operations much easier and help your staff in becoming more organized. 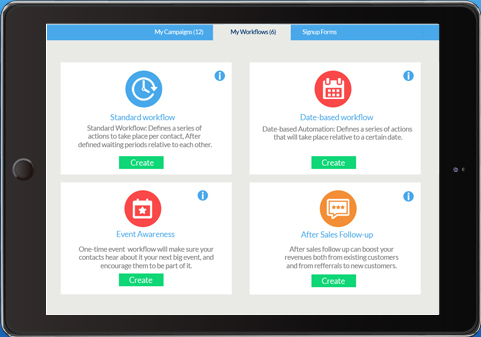 With CRM, you guarantee that no one will miss a task anymore. You can easily manage a larger number of clients and work on different projects simultaneously. Besides, the CRM software is user friendly, which allows your staff to adapt to it easily with no long learning process; and guess what? You don’t need to worry about the boring data entry process that we all hate. 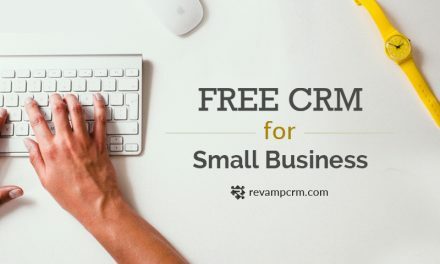 With CRM, you get to import all of your data including contact lists, email addresses books, email marketing lists, and linkedin contacts with a click as CRM is integrable with different web-based services like Yahoo!, Gmail, FormStack, and ininbox. Do you feel overwhelmed and distracted with all of these functions that you have to do/supervise on your own? Shmuli Rosenberg is a marketing professional with years of experience as an in house executive at Kars 4 Kids where he supervised a team of 14 professionals ranging form graphics and web designers to video producers and strategic marketers. Rosenberg is not the only one suffering from this. Actually, this is the ache of every starting or growing business; and in such a fast moving field, you cannot bear missing the market trends or passing an opportunity by because you are drowning from the burden you are bearing. With CRM, you do not have to put on the multiple hats you used to wear anymore. 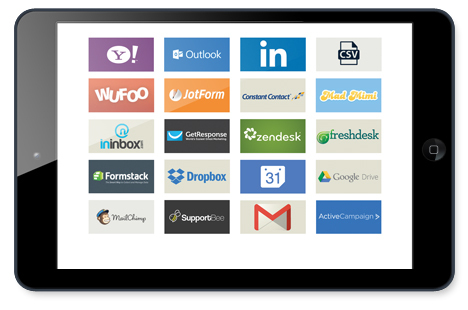 • Contacts: CRM imports all of your contacts from your various database centers and let you organize these contacts easily. 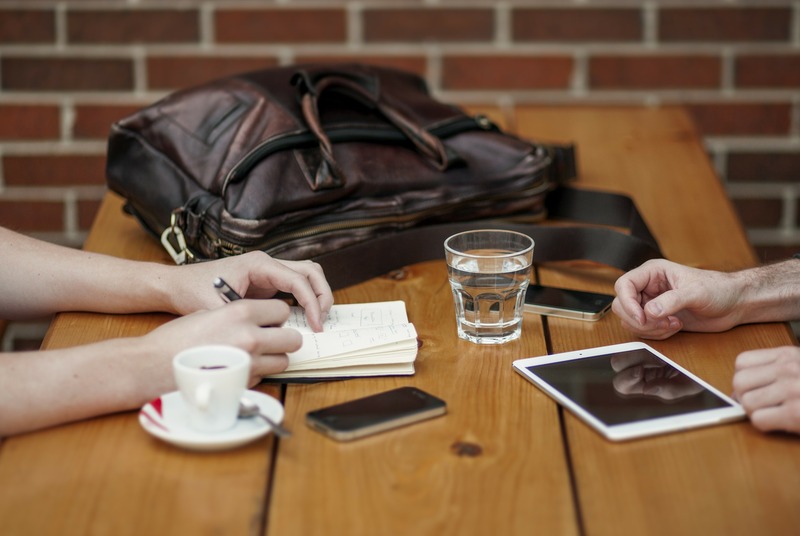 Each contact can be easily connected to notes, tasks, files like quotations and contracts, deals, and even invoices. • Calendar: CRM is integrable with Google Calendar. What differentiates this calendar than a Google Calendar is that it automatically coordinates and gathers all of the tasks, events, deadlines…etc. in one single calendar, which eliminates the distraction and the risk of forgetting to manually add an entry to the calendar. • Secured Storage: With CRM, you no longer need to worry about losing important files or databases as you can keep all of your important files on the CRM software as it ties everything together because it is integrable with Dropbox and Google Drive. • Email Marketing: CRM is integrable with many online marketing tools, which helps you to create one marketing pool to ease the job of sending marketing emails. • Invoicing: CRM is integrable with FreshBooks cloud accounting and Harvest. This feature enables you to track your invoicing and other functions in one place. 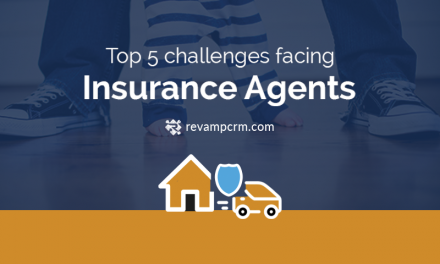 Can a CRM software really help your agency face this challenge? The answer is yes. As an advertising agency, you deal with clients from various unrelated fields, where each field must receive its own key messages. CRM lets you tag your contacts with key words for better categorization and segmentation, which helps you reach each segment separately with minimal efforts and target them with relevant messages about your services and news. What also makes this an easy job is the fact that CRM is integrable with email marketing tools like MailChimp and Constant Contact, which centralizes and simplifies the process. Another important feature that helps in branding your agency is the integration with social media channels like Facebook, which allows you to have better control over your social media marketing and get the most out of it. This is because you get to evaluate your social media performance easily through CRM. In such a competitive field, responsiveness and high quality levels are very important for an agency to excel. 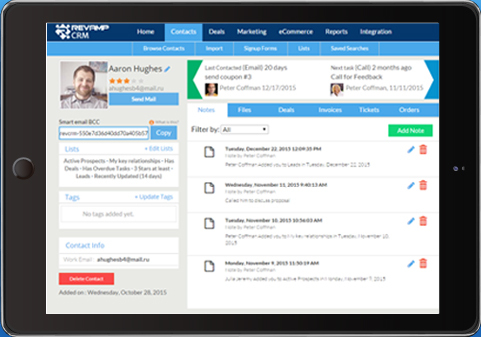 Concerning responsiveness, CRM allows you to track your tasks, client requests, and meetings and meet these promises on time. When it comes to quality, Julia Guzunova, Vice President of ComboApp, believes that consistently meeting and exceeding the expectations of the client is the biggest challenge advertising agencies face. Many agencies do not give the required attention to evaluating themselves and their service level because they do not have much time being busy with client requests. But this will eventually make these agencies lose their clients. Another problem that is caused by not having enough time is the lack of communication and sharing. Gabriel Shaoolian, CEO and founder of Blue Fountain Media, believes that a major challenge is not sharing information and knowledge. 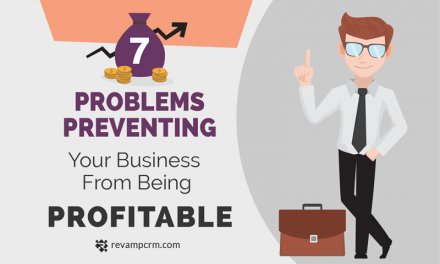 CRM solves these problems in two ways. The 1st is the fact that it saves the agency a lot of time and effort for the functions it manages, which leaves you enough time to evaluate, communicate, and improve. The 2nd way is through the reporting feature. The reporting feature is amazing because it conducts analyses and prepares reports on your behalf, which saves you time and allows you to follow up on performance whenever you want even when you do not have much time. By having an eye on the performance of the agency, you will be able to evaluate the service level and sales performance in detail. You get to know the percentage of unsealed deals and why they were not sealed to improve your agency. If you are starting or growing an advertising agency and you are striving to boom, be prepared for these challenges with a reliable CRM software and never miss an opportunity again. Nonprofit CRM: How to choose the best for your Charity?